If you've seen the Thunderbirds, you know they put on an incredible show. But do you know how many different jets the team has performed in? 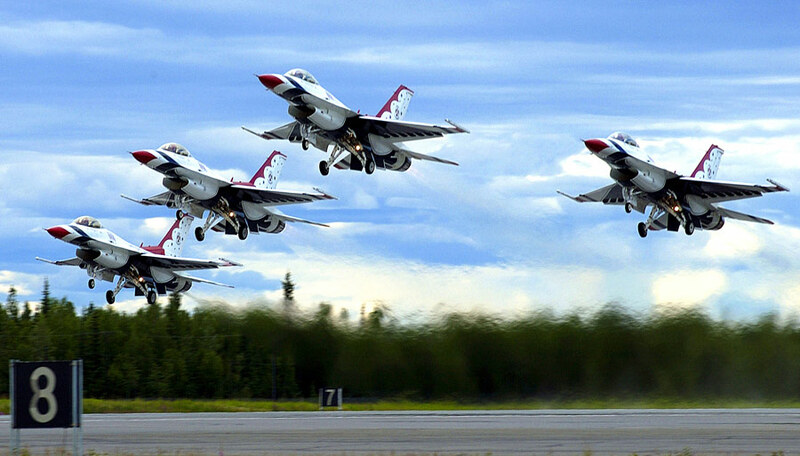 Here's every aircraft they've piloted since the Thunderbirds began performing in 1953. 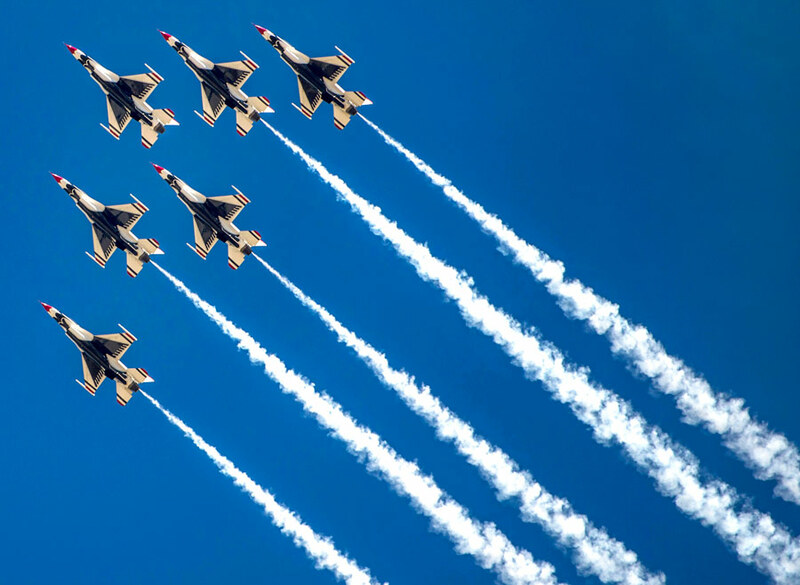 The Thunderbirds were activated on May 25, 1953. 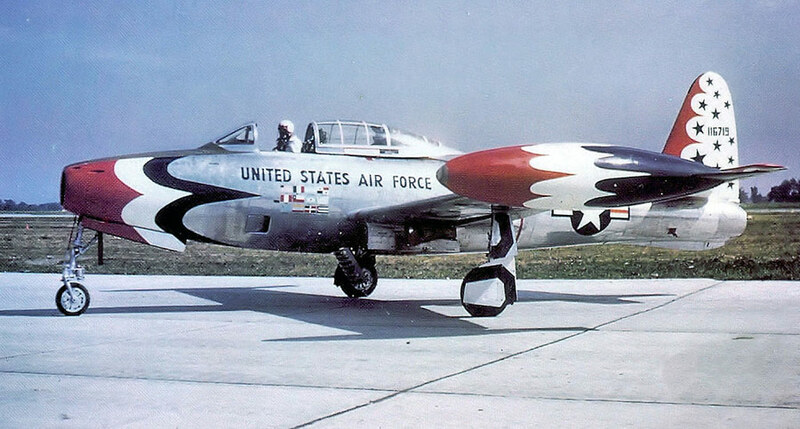 Their first aircraft, the straight-wing F-84G, was also the primary strike aircraft used by the US in the Korean war. 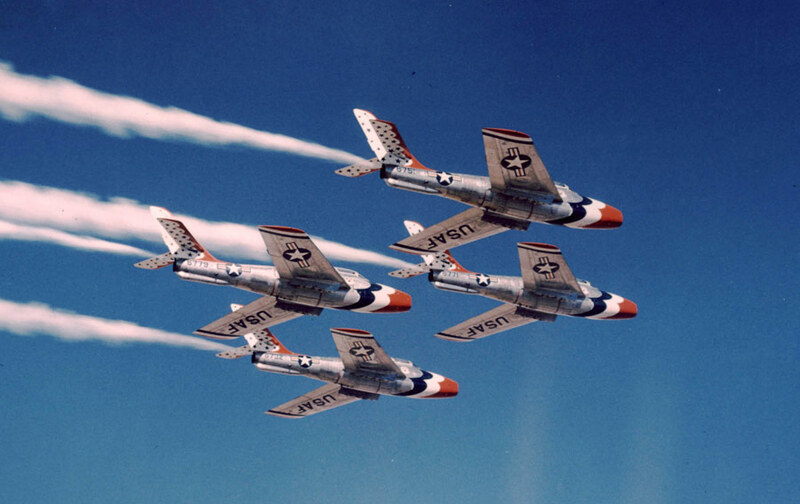 In 1955, the Thunderbirds moved to the swept-wing F-84F, which they flew for 91 air shows. The Thunderbirds first supersonic aircraft, the F-100, took flight in 1956. 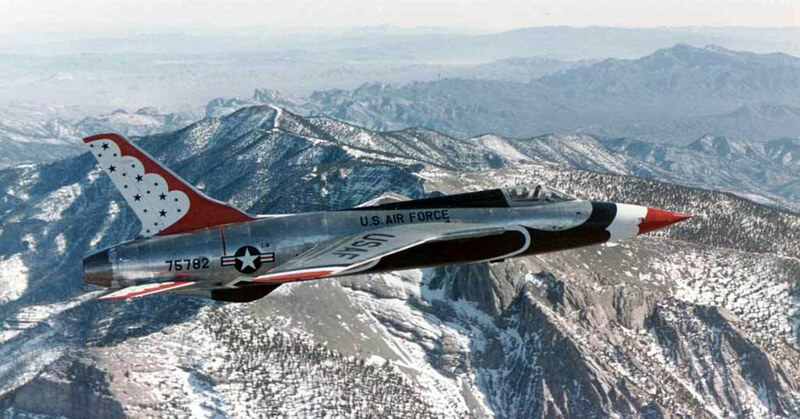 Thunderbird F-100 pilots demonstrated sonic booms at airshows until the FAA banned supersonic flight over the US. The Thunderbirds used the F-105 for six airshows in 1964. After a structural failure of an F-105 while practicing for a show, the team switched back to the F-100. What's unique about the F-4? Besides being an awesome jet, it's the only aircraft that's been flown by the Thunderbirds and the Blue Angels. 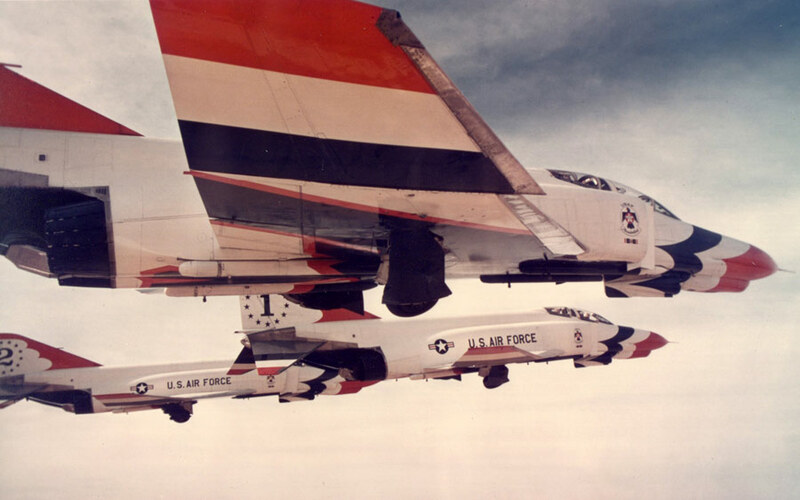 The F-4s showed up in 1969 with a new white paint scheme over the entire aircraft. Special white paint was developed to cover high-temp areas of the jet. After the 1973 oil crisis, the team switched to the T-38 Talon. Five T-38s used the same amount of fuel as one F-4. The jets flew until 1982, when a four-plane diamond loop impacted the ground, killing all pilots. A mechanical problem with the #1 aircraft caused the crash. 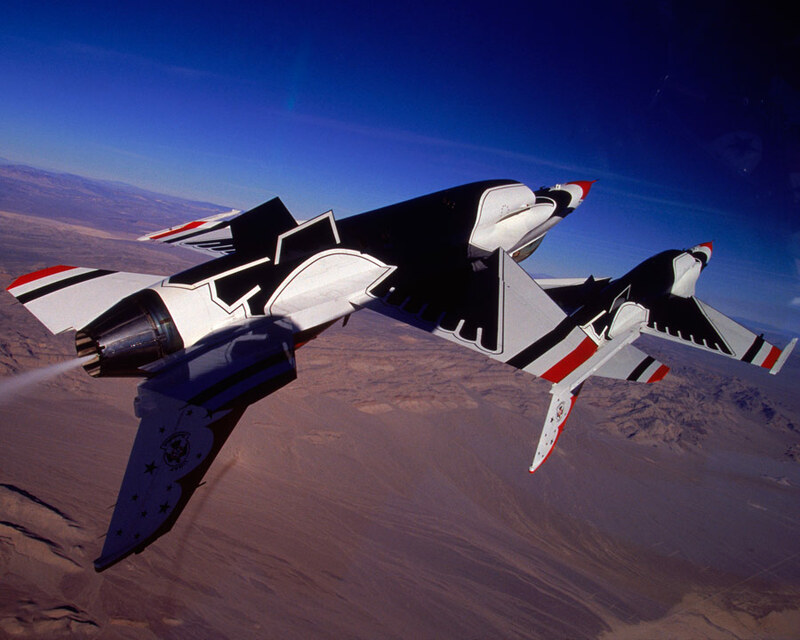 Following a six month investigation, the Thunderbirds resumed flying in 1983 with the F-16. 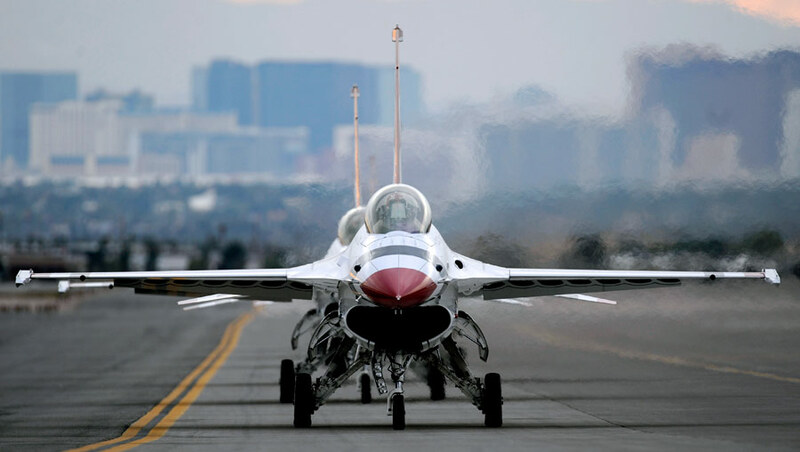 After 30 years, the F-16 is still roaring through the sky in Thunderbird colors of red, white and blue. 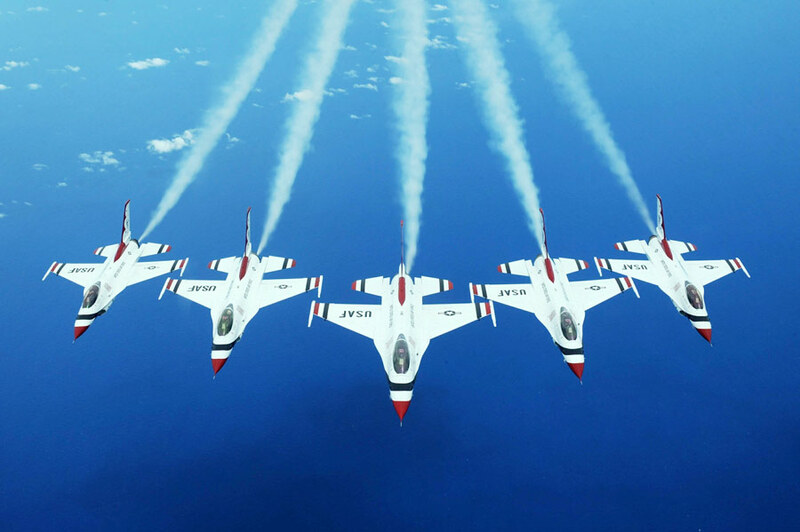 The Thunderbirds are performing at Sun 'n Fun on April 25th and 26th. If you're in the area, don't miss it.